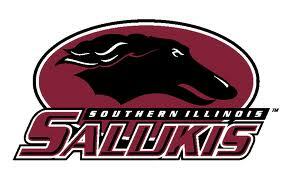 So, I’m a HUGE Salukis Basketball fan, and you cannot imagine how excited I am about the 2010-2011 season. Unfortunately, our team has had a slight fall from grace the past few years, and we probably won’t be much better this year, but that doesn’t keep me from being OVERLY excited about the season starting October 30th!! I’ve got a countdown going on like there’s no tomorrow, and I am ready! GO DAWGS!! !